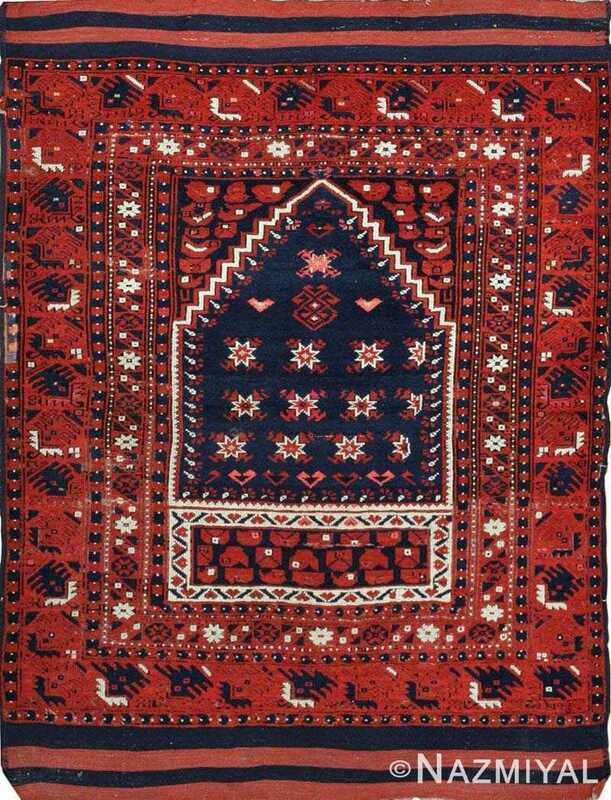 Woven in an angular, geometric style, this directional prayer rug features many tribal motifs and amulets along with a bold red, white, and indigo blue color scheme. Antique Turkish Prayer Rug, Country of Origin: Turkey, Circa: Turn of the 20th century - 1900 - This unique antique Oriental rug is an antique Turkish rug which features a prayer design. 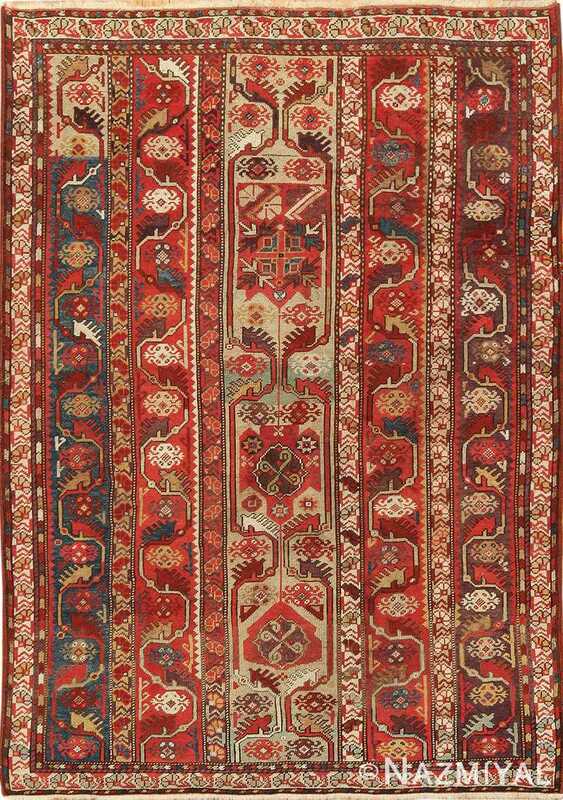 It is simultaneously a wonderfully distinct composition and a representative rug that embodies many of the characteristics of rugs made in the same place and roughly during the same time period. This tribal prayer design rug uses dramatic white accents to highlight the stepped mihrab and border motifs. The central field inside the mihrab is decorated with a number of star design motifs which can be seen in some of the earliest known carpets. Designed for ward off all evil, this antique Turkish prayer design rug includes a significant number of comb motifs and amulets. Traditionally seen in antique tribal carpets, this rug features symmetric sections of striped, flat-woven tapestry like flat Kilim on each end. 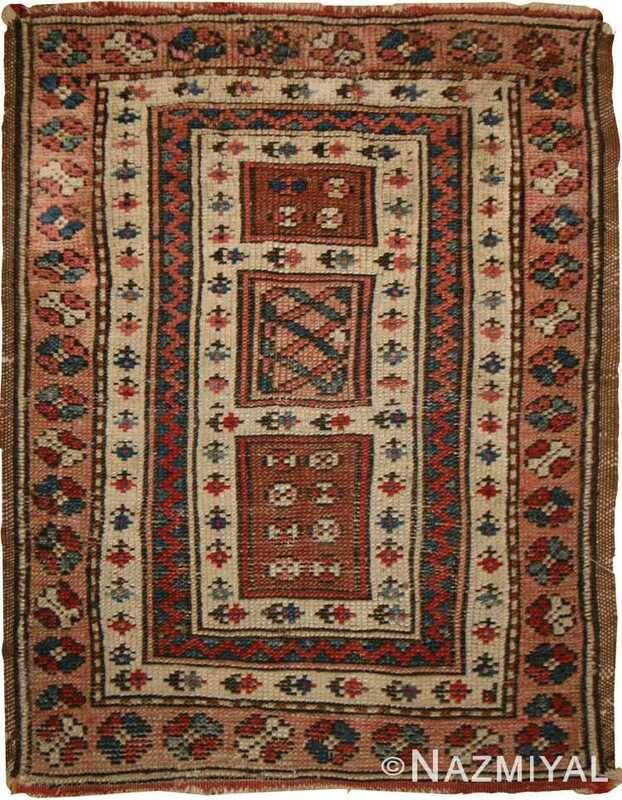 An important example of what antique rugs can, and should, mean to people, this rug represents a wonderful opportunity to own something almost magical - both in look and historical significance. 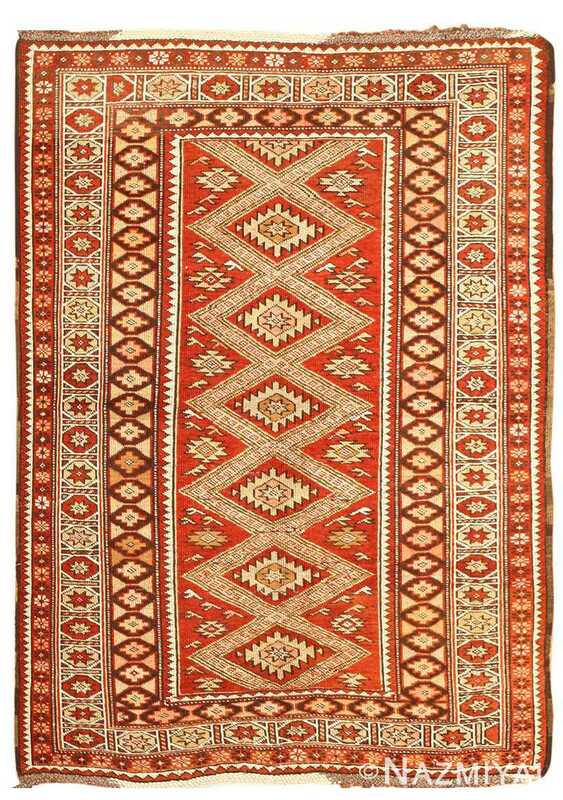 This Milas rug features a combination of ancient tribal symbols woven in a classic color palette.